Here is our list of top fun things to do in Grenada on your vacation! See stunning waterfalls, huge lakes and rainforests. Swim and then relax and suntan on a lounger on a pristine white sandy beach. Water lovers can snorkel and scuba dive on bespoke private tours with luxurious accommodation and personal guides. Take a nature walk to see a crater lake and then rejuvenate your body soul at a pampering spa. When you have regained your energy, set off on some cultural tours to learn more about Grenada's points of interest, tours in Grenada and activities. Grenada offers a stunning coast line of calm, azure blue seas just waiting to be explored. 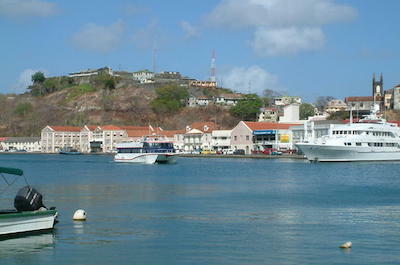 Enjoying a sailing tour in Grenada is a great thing to do in Grenada. If you have time, book for an unforgettable 7 day cruise to explore the Tobago Cays archipelago. Be pampered and spoilt by the crew as you travel from the Port Louis Marina through Tyrrel bay, then off to Salt Whistle Bay and round to Petit St Vincent. 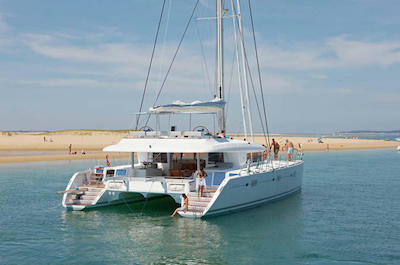 For something shorter, sail on the fabulous 45 foot Beneteau luxury yacht. Enjoy the views from Grande Anse Bay, stop at the Underwater Sculpture Park and see the BBC beach. This is a great way to relax and enjoy Grenada away from the noise of the city. If learning about the culture of the Island intrigues you, then setting off on a few culture tours is the thing to do in Grenada. 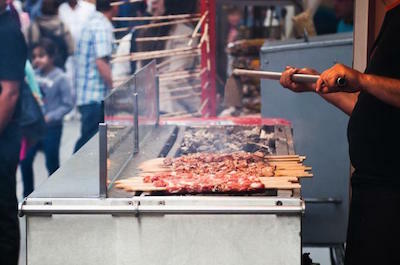 Start with the fun Fish Friday experience where you will visit a vibrant fish market that attracts locals and tourists. Bargain for lobster, marlin and snappers. Listen to live music and soak up the ambiance. The exotic aromas of spices permeate the Island and the spice tour will thrill as you learn all about this ancient trade. Visit the De La Grenade Industries facility for an educational tour and sample some of the spices at the end of the tour. Watch the amazing process of creating brightly colored fabrics using the age-old Batik dying technique. Buy a few yards or a unique finished garment to take home. Want to explore the surrounding regions? A day trip is the next exciting thing to do in Grenada. Sail away to a paradise island called Carriacou, north of Grenada. 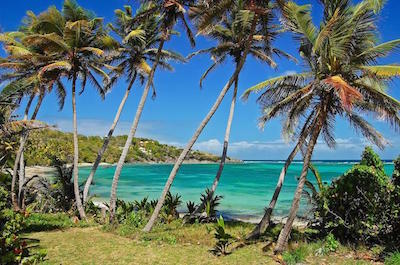 It offers an idyllic venue of palm trees, sandy beaches and clear turquoise seas. The ferry boat leaves from St Georges Waterfront and the trip takes about one and half hours. When you arrive, your guide will take you around the island and update you on the history, and natural wildlife. Visit Hillsborough, the only city and see old ruins from the English and French occupations. Enjoy a delicious local meal, learn about the boat making trade, swim, suntan and relax before setting off back to your hotel. For those who love exploring the outdoors, here is another fabulous thing to do in Grenada. The Etang National Park, one of Grenada's top natural attractions, can be explored on a half day trip. Your guide will collect you at St George's and take you on a short drive to the lush rainforests of the north west region. At the Visitor's Center you will learn about the flora and fauna. Next is a stunning scenic drive to the Grand Etang Crater Lake, where thousands of coloured fish will delight as they swim up to the surface for food. 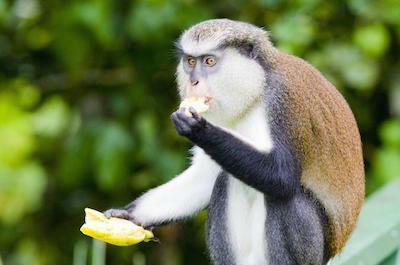 Walk in the rainforest and look out for Mona monkeys. Relax at the restaurant and stop to take pictures at the beautiful Annandale Waterfall on the trip back. This is one of the best tours in Grenada offering luxurious surroundings to admire. 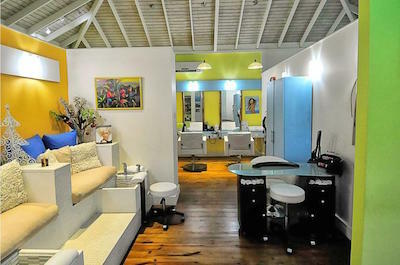 Being pampered at a world famous Spa is a not-to-be-missed thing to do in Grenada. Be prepared to relax, detoxify and calm your soul and mind under the magical hands of the trained staff. Your session starts with a drink in the beautiful garden which is filled with water features. This is followed by a Signature Massage designed to sooth away all the stress of daily life. A deep cleansing facial using tailored exfoliation and calming pressure-point massage is the next treat. Breathe in the aromatherapy oils crafted from peppermint, citrus, vanilla, surgarcane and other exotic combinations and start feeling like a brand new person! When you have had enough relaxing, set off on a tour and sight seeing adventure. This must be on your list of things to do in Grenada. Visit the idyllic Carriacou Island to discover authentic Caribbean life. Explore the spice center at De La Grenade Industries and learn about the Island's main source of income. Visit La Sagesse Nature Center for tea and delicious bread banana and discover that it once belonged to a cousin of the Queen. The Annandale Waterfall and Fort Frederick offer both an historical and nature filled tour in one. For a comprehensive experience, take the Highlights Tour, relax as you are driven in a luxurious air-conditioned coach around the Island to see al the main attractions. Snorkeling and scuba diving is a delightful thing to do in Grenada and there are many tours in Grenada for all levels of skills from professional to beginners. Relax for seven days in a private home at Las Tortugas where every luxury is laid on. 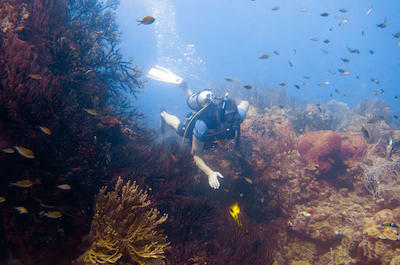 Explore paradisiacal diving sites from your private jetty away from the tourists. You will have your own diving expert and boat captain who share your love of the underwater life. Scuba diving trips can also be taken from the Deefer Diving Center, where experienced guides will give you lessons if required. Equipment can be hired on arrival. For something special, enjoy a night dive, where exotic creatures come out to play and then warm up with a Rum on a cozy couch in a local eatery and chat to like minded people.